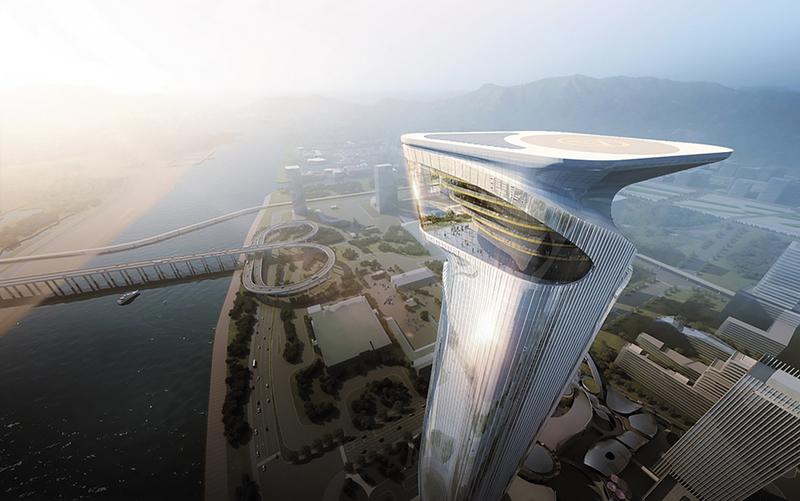 Aedas-design Zhuhai Hengqin Headquarters Complex (Phase II) sits in a prime area on the Hengqin Island in Zhuhai, in close proximity to the Lotus Bridge that links to Cotai, Macau. In ancient Chinese myths, the totem of two dragons chasing for a pearl symbolizes good fortune and happiness. Design of the two towers and the small banquet building in between took reference from this totem. The towers portray a sense of strength and power with a façade that shimmers under the sun; while the banquet building looks like an exquisite pearl. 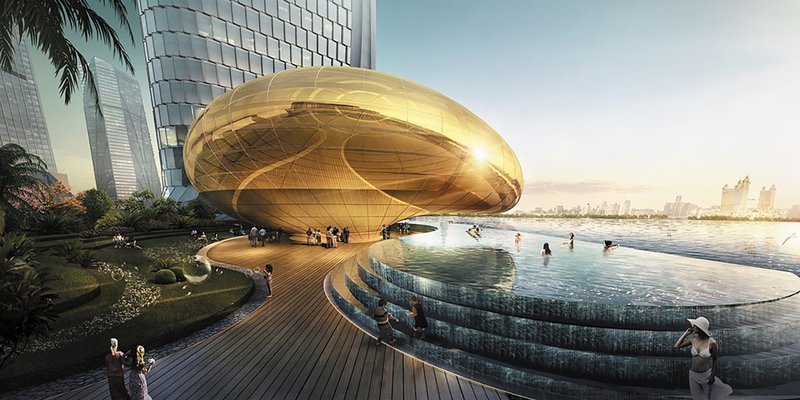 The podium design, on the other hand, echos the nearby Lotus Bridge. It resembles a blooming lotus flower with ‘lotus leaves’ wrapping around the shopping center and lining up the retail streets. 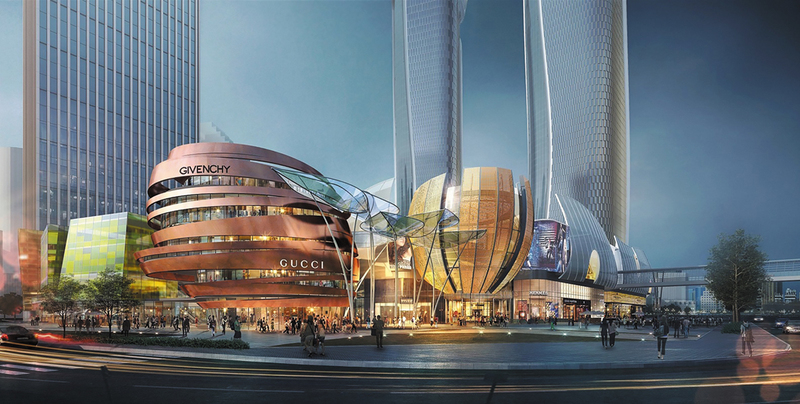 The master plan is laid out to drive traffic from various retail, leisure and green nodes to the central sunken plaza. And in response to the rainy weather in Zhuhai, the upper levels will serve as shelters for people on the lower levels to create a pleasant environment in both sunny and rainy days.